calling Michael Berryman.never enough Michael Berryman on the screen . Talking about his movies . Hills have eyes and one flew over the cuckoo nest . Why do they remake good movies and not bad movies and make them better . Michael Berryman likes the question. Movies in England make people sick and taking people to court. Michael watches Super natural and warm bodies . Watching hill has eyes at a drive in with Wes craven and had his outfit on and was pounding on car windows and got chased by a body builder type . Everybody gets picked on by different reasons. Michael went to college and never got a degree . And worked in different fields . Father was a brain surgeon and mother was a nurse . Denise pisses off big a and does not let me ask a question . Jack Nicholson was very approachable and jack takes care of his friends . Michael is a big fan of print film over video. Michael hates HD TV and HD programs . Michael prefers analog. Michael is a actor now and not being typecast . If the check does not bounce then he is happy and likes to be happy. Michael worked with Brandon lee . He has worked with a lot of good people . Worked with Leonard nimoy . He was the principal of smoking in the Boys room video by MÃƒÂ¶tley CrÃƒÂ¼e . He wiggled his ear for 3 seconds at the end of the video .they took off the wiggle to save time and people demanded to put. The wiggle back in the video . Michael is moving to colorado. Pitched a couple short stories .he is thinking of directing . Michael loves his fans very much . He mentioned producers and actors he would love to work with . We lost Wes Craven last year . Wes was bird watching and used opera glasses instead of binoculars. Michael does 6-8 film festivals and small indie festivals . Rod Sterling. Wes was bird watching and used opera glasses instead of binoculars. Michael does 6-8 film festivals and small indie festivals . Rod Sterling influenced Michael. Michael is a huge environmental protection advocate. Does not want to talk about politics. 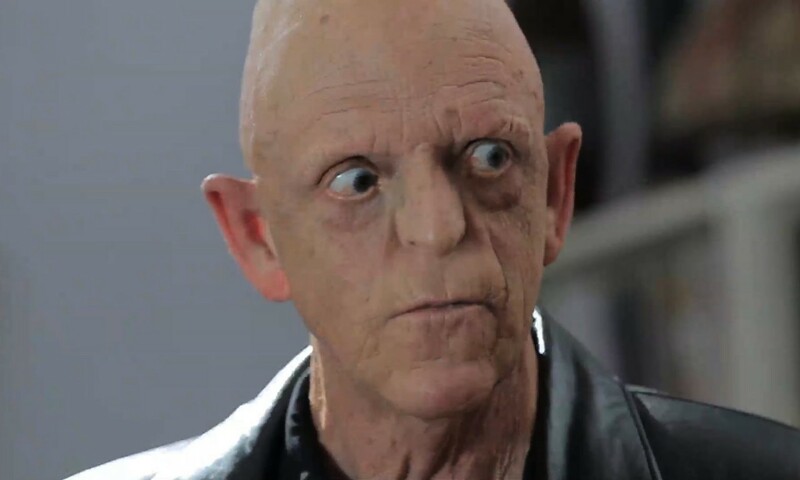 Does a bumper for us .talking about a great interview we just had with Michael Berryman . He is so smart and gave us a very good interview.